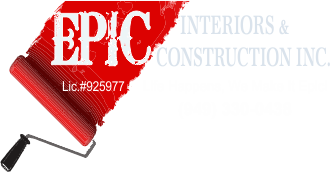 24/7 Restoration | Mold & Water Damage | Epic Interiors & Construction Inc.
24/7 Restoration is an Epic Interiors & Construction Inc. Company. We “specialize” in a more cost effective and advanced structural drying using lesser abrasive techniques for water damage restoration by restoring a property back to pre-loss condition after sustaining any level of water or mold damage. Unfortunately, a lot of home or business owner’s are left with extreme follow up repair costs, disruption of personal time, and other inconveniences due to limited knowledge and experience of a lot of restoration companies who’s technicians are not properly certified and/or trained and kept familiar with the techniques and equipment of the ever changing industry. With timely emergency response, accurate inspections, state of the art equipment, we will utilize the IICRC procedural standard for water damage repair. It is based on reliable restoration principles, research and practical experience with extensive consultation and information gathered from numerous sources before or after mold damage occurs. It’s never the right time to have flood damage in either your home or business and it can be very stressful for anyone. Having the right restoration services performed can be the difference between a disaster and just a bad day. Accepting both out of pocket, and insurance accepted claims, Let us show you how we can handle your loss with the utmost professionalism and regard for you. Each customer is different and unique, but care and attention to your home or business, your family, and belongings needs to always be considered. 24/7 Restoration prides itself on its relationship with the home owner during their loss.